Yes, we are talking about a solution that would allow urban dwellers to grow their own veggies, without worrying at the least about scarce cultivable spaces in cities. 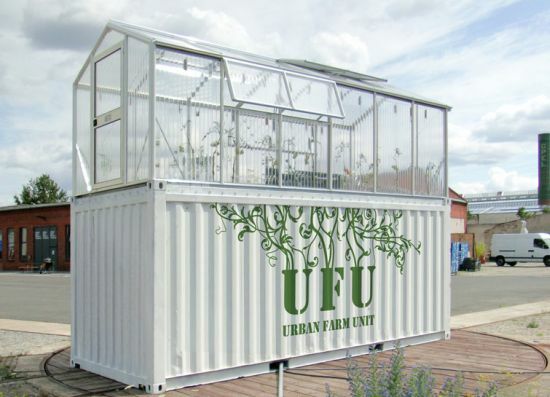 Designed and brought to its actual shape by Paris based designer Damien Chivialle, the Urban Farm Units aka UFU is an open-source model that includes a shipping container with a roof-mounted, mobile greenhouse extension. The farm container combines traditional farming with aquaponics. A dedicated closed circuit contains two cubic meters of water and broken down fish feces, which are transported from a sewage tank. The fish feces are further converted into mineral fertilizer, while the water returns back to the pool of fish. The highly efficient system generates enough power for an alternate generator by utilizing methane from the tank. For more info, visit DesignBoom.